SEOUL, Oct. 8 (Yonhap) -- Choe Ryong-hae, vice chairman of North Korea's ruling party and known to be one of the closest aides to leader Kim Jong-un, has been picked as a member of the party's powerful military commission, the North's state-run media reported Sunday. Choe, 67, was elected to the Central Military Commission of the North's Workers' Party of Korea (WPK) during the second plenum of its seventh central committee Saturday in Pyongyang, according to the North's Korean Central News Agency (KCNA). 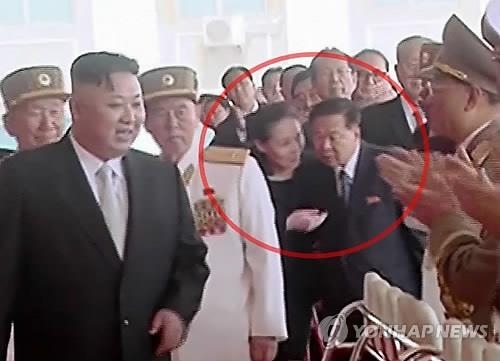 Choe is currently one of five standing committee members of WPK's politburo -- which also includes Kim Jong-un, President of the Presidium of the Supreme People's Assembly Kim Yong-nam and Hwang Pyong-so, director of the general political bureau of North Korea's armed forces. He was once believed to have fallen out of Kim's favor and punished for mishandling a hydro power plant project in November 2015 but has apparently returned to the party leadership. 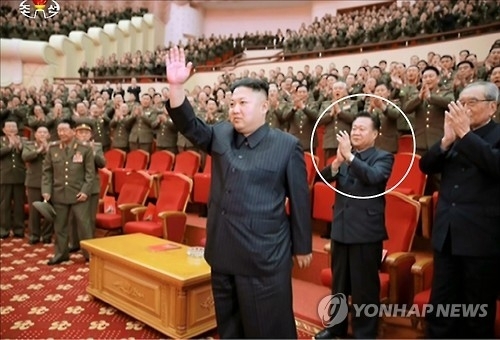 The KCNA added that Choe was also appointed a director at the party's central committee without specifying which division or branch he would head. Saturday's reshuffle raised the number of Choe's official roles in the party to eight in total. In the reshuffle, conducted ahead of the founding anniversary of the party which falls on Oct. 10, Kim's younger sister, Yo-jong, has also been elected as an alternate member of the WPK central committee's Political Bureau, according to the report. Yo-jong, 30, was first elected a member of the Supreme People's Assembly, the country's rubber-stamp parliament, in March 2014 and then a member of WPK's central committee in May last year. She is believed to have been educated in Switzerland along with her brother Kim Jong-un. 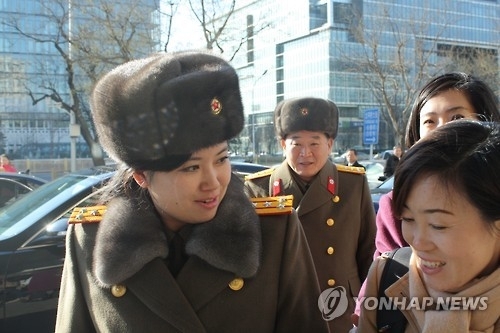 The KCNA also said Hong Yong-chil, deputy director of the WPK's defense industry department who is known to have a key role in the country's nuclear program, was elected to the party's central committee along with Hyon Song-wol, leader of the North's all-female propaganda music group Moranbong Band. In his report to the party, leader Kim claimed that North Korea's "national economy has grown on their strength this year," despite the escalating sanctions over the country's nuclear and ballistic missile programs. "The nuclear weapons of the DPRK are a precious fruition borne by its people's bloody struggle for defending the destiny and sovereignty of the country from the protracted nuclear threats of the U.S. imperialists," Kim was quoted as saying. DPRK stands for the North's official name, the Democratic People's Republic of Korea. Experts in South Korea see the North's latest move as aiming at further consolidating Kim's institutional power. "Through the personnel reshuffle, the Kim Jong-un regime has ended its co-existence with the remnants of the previous Kim Jong-il regime by carrying out a generational replacement in the party's key elite posts," said Kim Yong-hyun, a professor of North Korean studies at Seoul's Dongguk University.